Before we delve into the different types of PPC, let’s clarify what PPC advertising is. 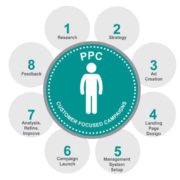 The PPC advertising model places a company’s advertisements in search results or on another website to generate more traffic back to the advertiser’s site. The ads are usually tied to certain keywords in a search engine, or placed on websites with similar content to the products or services being offered in the ad. Rather than pay a standard fee for the ad, the company pays per click — that is, they pay each time someone clicks on the ad and goes to their website. PPC can be an effective marketing tool because it can quickly and easily find potential new customers who are interested in the products or services that your company already offers. Because PPC ads take potential buyers straight to your website, they also provide a direct connection with new customers without the hassle of trying to find them on your own. With that in mind, executing, managing, and optimizing PPC can differ depending upon the type of advertising you are doing. With the ubiquity of Google, Bing, and Yahoo, it’s little wonder that search ads have become the most common form of PPC advertising. Search ads are linked to certain keywords, and they appear along with your search results when a certain keyword or phrase is entered into the search engine. This particular form of PPC is especially smart because it places your ad in front of people who are already interested in your industry, service, or product. With this approach, search ads are able to provide strong, high-quality leads for new customers. And because these individuals are already searching for a related item, there is a much higher likelihood that you’ll be able to convert these leads into actual sales. These types of ads are also very simple and straightforward in their design — usually just a set amount of text — making it easier to use as a marketing strategy. This simplicity can also be a drawback, however, as the lack of visuals and images in the ad itself can make it harder for your ad to stand out among others and engage new customers. Despite the simplicity, search ads can also be fairly expensive, as there is usually a great deal of competition surrounding them. Pricing points vary, and since you’re paying for each individual click, those clicks can add up — especially if you’re not able to convert the majority of click leads into sales. Also, because the ads are linked to certain keywords or phrases, it can be difficult to get your message out to a wider audience. Display ads are another popular form of industrial PPC that many companies use. These types of ads appear at the top, on the side, and in the middle of web content on almost every website. Display ads are known for their effectiveness — they reach more than 90% of people who surf the internet. 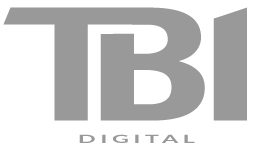 In fact, this high visibility gives them a wide reach among users to generate new traffic to the target site. Since these types of ads are fairly common, they face less competition and are less expensive than search ads. They’re also much more dynamic than search ads — allowing you to use a mix of images and text to create an ad that can really engage your audience. With fewer limitations, your ads can be personalized to fit your brand. While the wide presence of display ads means that they can get you a lot of exposure, their prevalence can also be their downfall. Because they have inundated people’s screens for so long —what feels like since the beginning of the internet to some — many people don’t notice them or ignore them altogether. This translates to a very small number of actual clicks on the ad. The prevalence and oversaturation of display ads have also made many people associate them with spam, making internet users less likely to click on them. Many people go so far as to install ad blocking plugins on their internet browser to limit the number of ads that filter through to their screen. If your targeted audience uses such a tool, you could be wasting your marketing budget on ads that might not even be seen. Social ads are the fastest growing segment of PPC advertising, thanks largely to the growing popularity of different social media platforms among internet users. Many social media sites, such as Facebook, Instagram, and LinkedIn, are programmed to be able to target specific audiences based on their network, their hobbies and interests, and their professions, among other factors. As a result, social ads are tremendously effective at getting your message to your intended audience quickly and effectively. Social ads are also fairly inexpensive compared to other PPC ads — helping you get more bang for your buck with your marketing strategy. Social ads are also easy to use — making them accessible to nearly any size company or business. They’re also very effective at reaching your targeted audience and have a high click rate. The ads themselves also have a certain degree of flexibility in terms of design and content––allowing you to really show your brand through your ad. Since social media is a relatively new media and considered to be more popular among certain age groups, its use as a marketing tool might be met with some resistance by your company’s leadership or stakeholders. In addition, many people are hesitant to adopt social media marketing because of its very different platforms and unique approaches to content. Thus, it might take more to convince your marketing managers or executives to invest in this particular form of PPC advertising. Social ads can also be more time-consuming to create. Because new content is always being posted on social media at a very high rate — with different keywords and topics trending at a given moment — it’s important to stay current with the latest content being posted. Additionally, social media networks are notorious for introducing new ad products, removing old ones, and changing specs, so you’ll need to keep up at all times. Need More Info About PPC? 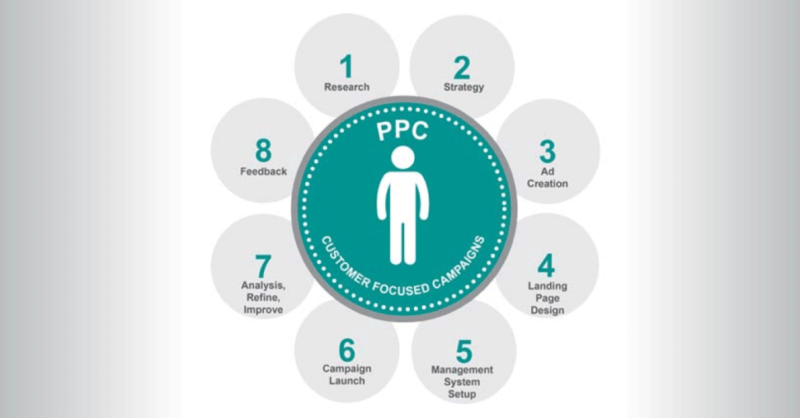 A strategic and targeted PPC program can be an effective part of your marketing strategy. However, it can also be challenging, and without the right knowledge, those clicks can add up quickly. Plus, you’ll want to make sure that the money you do spend is attracting real customers.